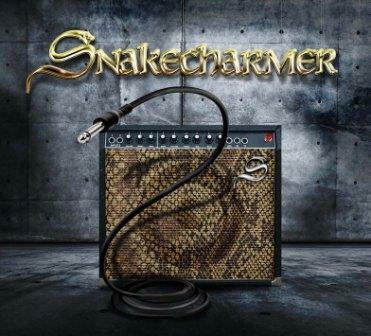 Frontiers Records is pleased to announce the release of SNAKECHARMER’s self-titled debut album on January 25th in Europe and January 22nd in North America. Originally founded in 2011 by former Whitesnake members Micky Moody and Neil Murray, the Snakecharmer super-group also includes Chris Ousey (Heartland), Laurie Wisefield (ex Wishbone Ash, Tina Turner), Adam Wakeman (Ozzy Osbourne) and Harry James (Thunder). With members gigging record breaking tours, earning double platinum selling albums and playing to crowds of 100,000. “I met up with Neil Murray a couple of years ago and we spoke about playing a few gigs together for fun and old times’ sake”, says Micky Moody. “The obvious choice was early Whitesnake material, so when Neil suggested Laurie Wisefield and Harry James I jumped at it. Chris Ousey was highly recommended and Adam had depped for Company Of Snakes some years back. We went out as Monsters Of British Rock mostly performing the songs of early Whitesnake, Thunder, Heartlands and a Laurie Wisefield original and we caught the attention of Martin Darvill, head of QEDG Management, who suggested we record an album of original material, which we did. The result is Snakecharmer on the Frontiers label”. “The songs on our debut album reflect the kind of music that the members of the band want to play, which is melodic rock with a blues influence”, adds Neil Murray. “Each of us has played many different styles of music, and our influences are varied, but Snakecharmer originally came together to play mainly early Whitesnake songs, so that is our starting point. There wasn't a deliberate plan to write songs in a particular style; each song on the album started as a basic idea by one or two band members, and if the other guys were enthusiastic about the idea, then the song would be worked up into a finished song”.